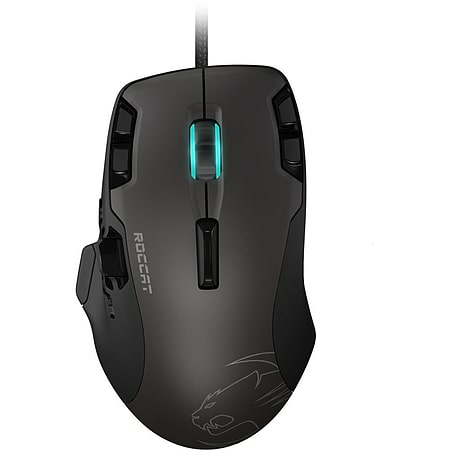 ROCCAT's breakthrough Easy-Shift[+] technology lets you assign a secondary function to each button on the mouse, for a near endless number of attack possibilities. 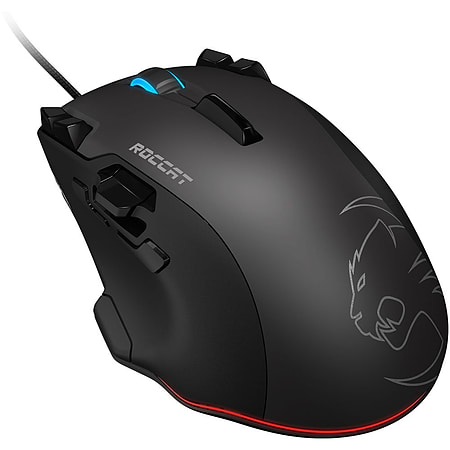 The secondary function can be activated once the Easy-Shift[+] button is held down. On the Tyon, this is a dedicated button conveniently located beneath the traditional side buttons. 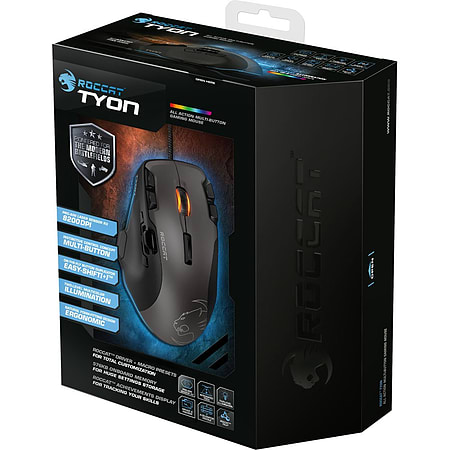 The Tyon's TDCU automatically calibrates the sensor's lift-off distance to ensure perfect tracking on every gaming surface.